Alabama's 9 Best Live Theater Venues! If you have a love for the stage, show your appreciation by coming out and supporting the various performing arts events across Alabama. From local community theaters to venues hosting Broadway-level productions, Alabama is home to some of the best places to see live theater in the country. Here are the best spots. 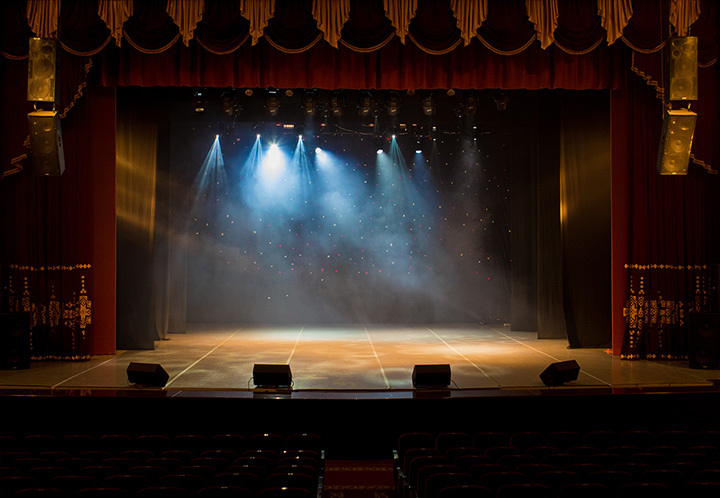 From music to live shows for kids, Saenger Theatre in Mobile hosts a number of live shows to pique your interest. The historic venue has great acoustics and a seating arrangement that ensures a great viewing point for all. If you’re looking for fresh talent in the Tuscaloosa area, check out Theatre Tuscaloosa. As one of the largest community theaters in the state, Theatre Tuscaloosa regularly produces well known plays and musicals that will keep you coming back. Open since 1948, the Shoals Community Theatre is a historic site to catch the best entertainment in the community. From plays & musicals to concerts, the theater provides great shows year-round. The Birmingham Festival Theatre has been providing theatrical entertainment since 1972. An architecturally beautiful venue, the theater has produced countless shows, from classics to new wave, with Birmingham’s greatest talent. Home to the Alabama Shakespeare Festival, the State Theater in Montgomery hosts quality live performances year-round at a beautiful venue. The theater also features a number of community outreach programs that help to keep you engaged with the arts. Settled on North Lafayette Street, the Mobile Theatre Guild is a place that connects people to the arts and their community. The theater produces quality shows that are educational, engaging, and enriching. Originally built in 1898, the Merrimack Hall for Performing Arts has long been providing the Huntsville Community with enriching art and live theatric experiences. Today, the theater boasts an outstanding program that introduces social and cultural activities for children and adults with learning and physical disabilities. The Merrimack is truly community centered and a place where everyone is welcome. A historic theatre nestled in Montgomery, the venue was once called the Paramount Theater until it was purchased by Troy University in 1925. The theatre boasts perfect acoustics and seating that can hold up to 1,200 people. Visit for a classic film screening, a concert, or one of their productions. For a theatre dedicated to bringing community together, visit the Renaissance Theatre in Huntsville. Their new location is as open and welcoming as the community it sustains. View more Alabama Theaters and Playhouses.